Our priests and catechists work closely together to ensure our younger parishioners feel valued - and that their parents are supported in bringing up their children in the Catholic faith. Our young people are encouraged to take an active part in the life of the parish – for example, as servers, singers or instrumentalists. For many, this is an experience that will remain with them through their lives. Helping to serve at Mass is a wonderful opportunity way to really get involved in the celebration of the Mass. Therefore, children who have celebrated their First Holy Communion are invited to join our group of altar servers. Naturally, training and support are provided! For young singers and potential singers, we welcome children who are in Year 3 or above to join us in singing at the monthly Family Mass. Practice is heldon the first Saturday of every month at 3.00 pm in church. And don't worry if you haven't sung in a choir before, we'll give you lots of help! 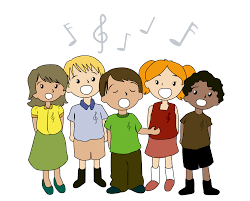 Anyone who is interested in joining the Parish Children's Choir who sing once a month during the 9.45am Family Mass should contact stephanieanne.donnelly@yahoo.com or dnazareth@yahoo.com . This takes place at 9.45 am every Sunday and during term time includes Children’s Liturgy of the Word for children aged 5 and older. Held in the St Edward’s Room, adjacent to the main body of the Church, it and provides the children with a Liturgy of the Word suited to their age and ability. The Children's Liturgy group also organises monthly masses where children lead the readings and singing and special liturgies throughout the year - such as the first mass of Christmas, Palm Sunday and Good Friday.